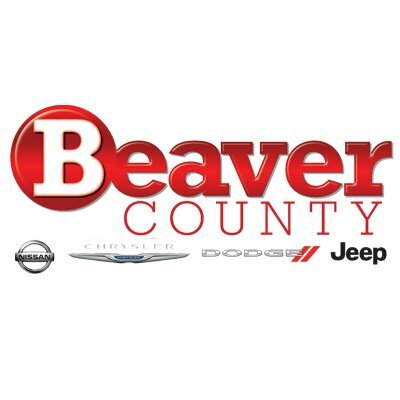 One of my favorite things about living in Beaver County (aside from all the delicious, local restaurants), is the fact that we are a short drive to the best city in the world. Recently, I had the opportunity to go down to Pittsburgh and experience a couple things that are unique to our great city. I don’t think you can call yourself a Pirates fan without thinking Roberto Clemente was one of the greatest athletes to ever step on the diamond. I grew up listening to stories told by my grandfather and dad of “The Great One” — of basket catches made in right field, of bullet throws to third base, of the way he swung the bat and ran the bases. Clemente’s career with the Pirates spanned multiple generations of fans and included three World Championships. He was an amazing athlete but also a great man off the field with his many humanitarian acts. His presence is still felt throughout the area. His name is on bridges, streets and ballfields. You cannot enter a Pirates game without passing by a larger than life statue or even look around the ballpark without seeing his picture or his number hanging by the right field wall. So before you head to PNC Park this season and watch (who I believe will be) the NL Central Champs of 2016, make a point to head to the Lawrenceville neighborhood of Pittsburgh and learn more about one of the greatest ballplayers to ever wear a Pirates uniform. The Clemente Museum is housed in the historic Engine House 25. The entire museum is dedicated to number 21 and celebrates Clemente’s life as an athlete, husband, father, and a humanitarian. Take a guided tour and see for yourself the numerous artifacts and sports memorabilia, a lot of which has been donated by the Clemente family. There are baseball cards, Golden Gloves and Silver Slugger Awards, equipment (bats, gloves and cleats) from World Series games, memorabilia from Forbes Field and Three Rivers Stadium, tons of photographs (both personal and professional), even a handmade vase Clemente made for his wife, Vera, and his Presidential Citizens Medal he was awarded by Presidents Nixon posthumously in 1973. The museum celebrates the life and legacy of Roberto Clemente, and although he died tragically on December 31, 1972, delivering aid to earthquake victims in Nicaragua, the tour speaks very little of his death. The museum operates as a small nonprofit and tours are scheduled by appointment only. The museum also sells its own wine, bottled with unique Clemente labels. 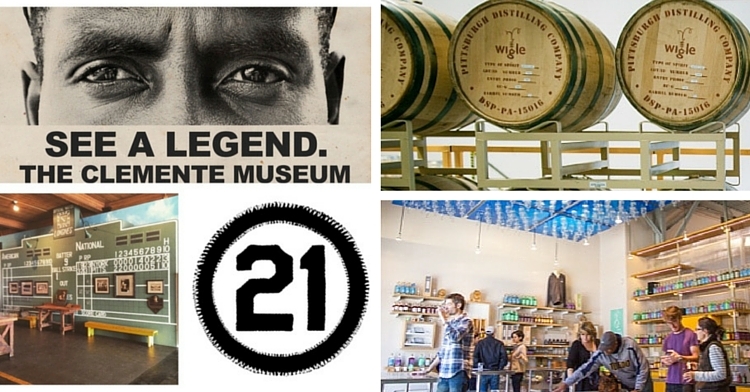 Visit the Clemente Museum’s website for more information and to schedule a tour (clementemuseum.com). Pittsburgh and the surrounding area has been experiencing a craft beer explosions in the past few years. Every time you turn around, a new microbrewery is opening its doors. While beer tends to be a drink associated with the working class (and western PA), American whiskey actually owes its existence to Pittsburgh. Throughout the 1700s and 1800s, our corner of Pennsylvania was the headquarters for American whiskey production. Phillip Wigle was one of Pennsylvania’s pioneering distillers and in 1794 he single-handedly helped spark the Whiskey Rebellion. While Wigle was known as a good-natured man, he loved whiskey and didn’t like the fact that politicians wanted to impose a “whiskey tax” to help fund our newly formed government. Things settled down and by the early 19th century, Allegheny County was producing half a barrel of whiskey for every man, woman and child living in America. Today, Wigle Whiskey in Pittsburgh’s Strip District makes spirits the same way Phillip Wigle did many years ago. Wigle is the only whiskey distillery in the region and the first in Pittsburgh since Prohibition. Tours of the distillery are offered on weekends and can be scheduled through Wigle’s website (wiglewhiskey.com). The distillery is opened 7 days a week and no appointment is needed to visit, taste and purchase some of their fine whiskey. All of their spirits are made on location with a copper pot and local, organic ingredients. And for those of you who think of yourself as beer drinkers only, know that in the distillery process whiskey starts out as beer. Salute! Lauren Walker was born and raised in Pittsburgh and became a resident of Beaver County through marriage. She now lives in Beaver with her husband, three kids and little dog. She is an optimistic Pirates fan, decent church softball player, and digs an organized closet.